Whether you are wanting to arrive in style at a special event, or you are celebrating an anniversary, honeymoon, wedding or birthday, Branson has several limousine companies in the area. 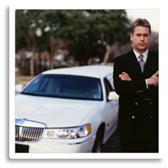 Make your next special occasion memorable by renting a limousine! By the hour or by the day, there is a company that is willing to accommodate your needs the next time that you need to get around town.